Octogenerian John D. Nichols is the former CEO of Illinois Tool Works and Marmon Holdings Inc. He and his wife, Alexandra, move their philanthropy through the John D. & Alexandra C. Nichols Family Foundation, a charitable vehicle which strongly focuses on Chicago and its suburbs. The couple themselves are based in Winnetka, Illinois. The family's grantmaking, through their foundation, includes supporting education, and human services organizations. Then there's Nichols Tower at Homan Square. The building was once called Sears Tower. No, not what's now called the Willis Tower, the tallest building in the world for more than two decades. I'm talking about the original 14-story Sears Tower, which dates back to 1906 and was once home to the radio station WLS — World’s Largest Store. John and Alexandra Nichols strongly supported the restoration and rennovation of the space, which was completed last year. Now the site is a community center and event space. This effort by the Nichols couple is but one example of their steady support of arts and cultural institutions in Chicagoland. Some of the family's major gifts have come with naming rights. There's Writers Theatre, home to the Alexandra C. and John D. Nichols Theatre; Lyric Opera, where there's an endowed chair in the Nichols' name; and Harris Theater, where Alexandra serves as chair. Other grantees have included Landmarks Illinois, WTTW Chicago Public Media, Chicago Symphony Orchestra, Winnetka Historical Society, Chicago Philharmonic Society, and Millennium Park, Inc. The Nichols family also supports art schools in Chicago like Art Institute of Chicago, Columbia College Chicago, Music Institute of Chicago, and School of the Art Institute of Chicago (SAIC). The couple, via their foundation, recently gave a $500,000 multi-year gift to SAIC. The couple also once gave a $14 million gift to Art Institute of Chicago. Unfortunately for grantseekers, the John D. & Alexandra C. Nichols Family Foundation does not appear to accept unsolicited proposals and keeps a low profile. Networking will be key for getting this Chicago funder's attention. 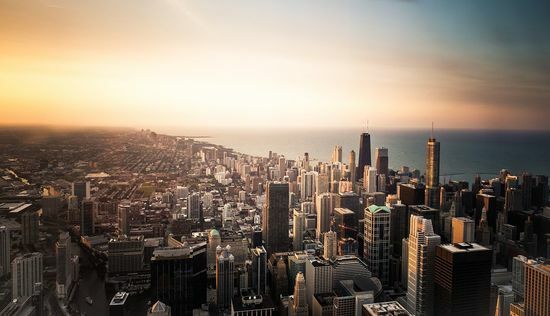 For a complete overview of this funder's Chicago area grantmaking, read our guide linked below.